I started work on the collection back in the autumn. Like in most of my work, the key concept is casting from real-life objects. But these particular ones proved pretty difficult to transpose in to concrete and I had to do a lot of experimentation - with some frustrating failures along the way as can be seen in the picture above. 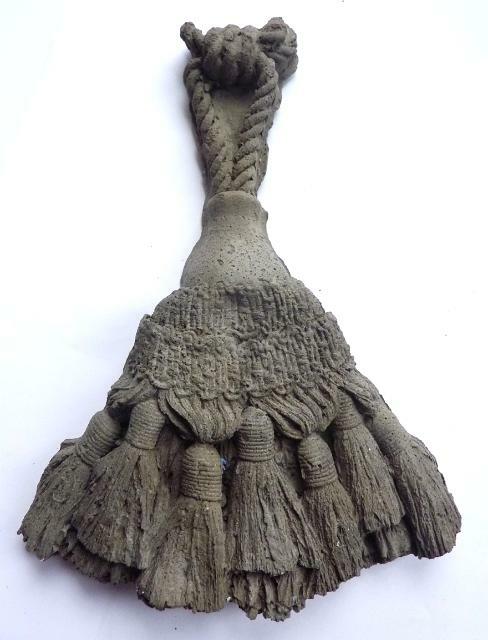 Creating moulds for the original vintage tassels. I've photographed plenty of stone and plaster tassels on my travels - this beautiful and simple pair were on a headstone in a churchyard in France. 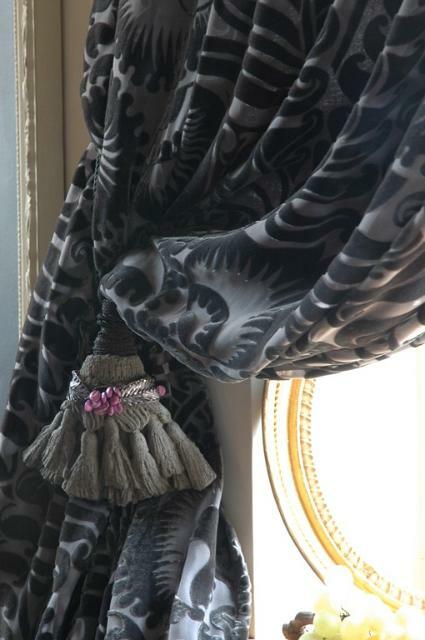 As I developed the collection I realized that I was important to create a sense of movement in the sculpture, by introducing flicks and curves when I laid out the original tassel to cast from. 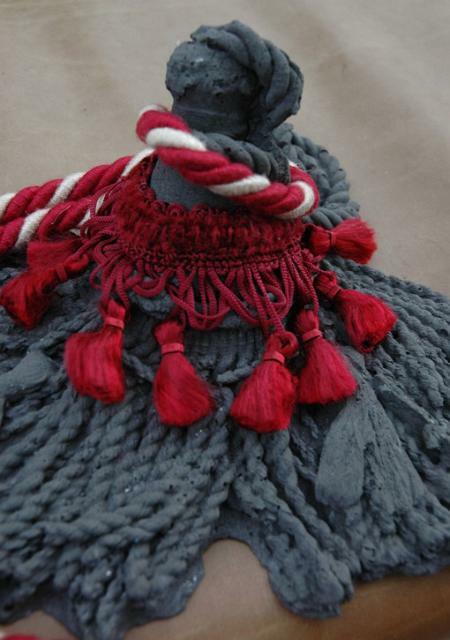 I hunted for a variety of different tassels to cast from, some with fine threads, some solid and sculptural. 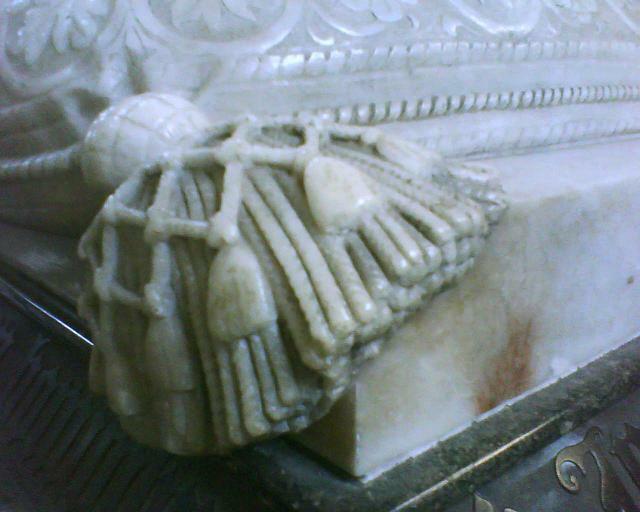 Photographed on a tomb. Whoever sculpted this deserves top marks in my book! 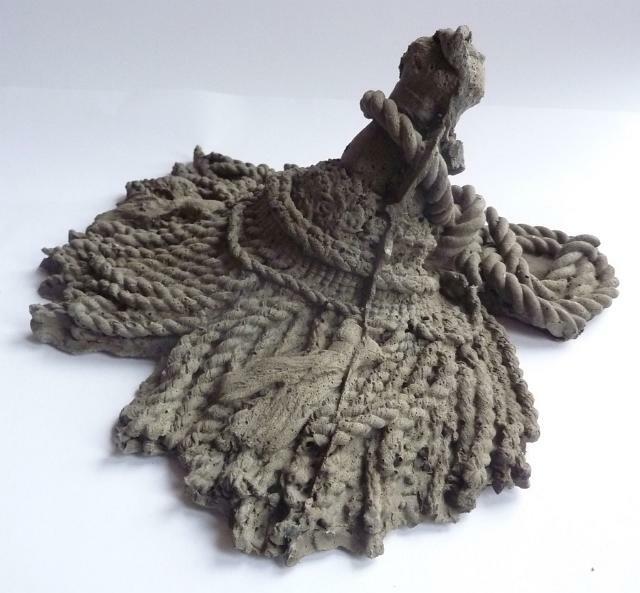 Sculpted versions of fluid, organic materials like fabric and silk threads and cords I find fascinating. I hope I managed to achieve a similar feel in my sculptures - the idea of a soft, supple object suddenly turned to stone! - Or in my case, concrete. With Di's embelishment. 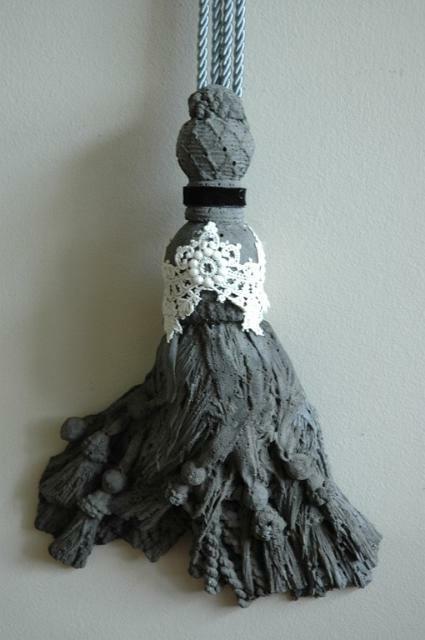 I think the contrast of colour, material and texture is really interesting and is an idea which developed along the way. 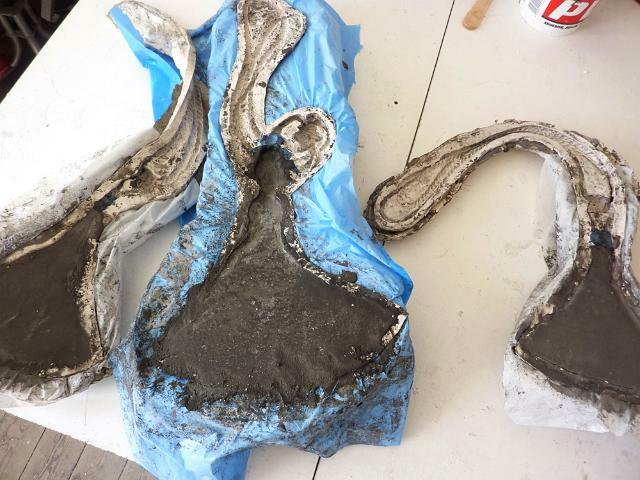 Making plaster jackets for the moulds. Annoying when it doesn't work out and you have to go back to the concrete mixing! We're getting some great feedback on the collection which is very satisfying after so many months of work. The latest has been in design uber blog mocoloco Glad they like them! Here I am yet again! It is great to see the background work involved as well as the failures. The fluidity that you have managed to achieve is brilliant. They are stunning. How much more gushing praise can you stand?